THE UNEASINESS of major customers of Curtis Island's three LNG plants is the reason behind a Rockhampton senator's quick dash to Asia. Minister for Resources Northern Australia Matt Canavan will visit major LNG customers and investors in Japan and Korea next week. The visit is off the back of the Federal Government's new gas policy, which caused concern for the companies operating LNG plants on Curtis Island. The Australian Domestic Gas Supply Mechanism allows the Federal Government to trigger gas controls or bans on international exports when domestic supply drops critically low. Santos, owner of GLNG on Curtis Island, heavily criticised the mechanism and said it would be detrimental to future investment. Yesterday the company's chief executive Kevin Gallagher was optimistic about Mr Canavan's visit. "It's very good for our industry to have a senior federal cabinet minister, Senator Canavan, take the time to visit with joint venture partners and customers of Australian LNG projects in Asia," Mr Gallagher said. "It demonstrates how much their investment in Australia is valued by all of us and how important that investment is to the Australian economy as a whole." On the agenda during Mr Canavan's five-day Asia visit are discussions about the LNG sector, Northern Australia and coal. He will meet with key industrial stakeholders in the resources and energy sector. "Like many other countries around the world, Australia has had to take steps to ensure our domestic energy security," Mr Canavan said. "The ADGSM has been designed to minimise compliance costs, and give affected LNG projects the flexibility to find commercial solutions to their domestic responsibilities. "These design elements should reassure investors of the government's commitment to letting the market operate freely." 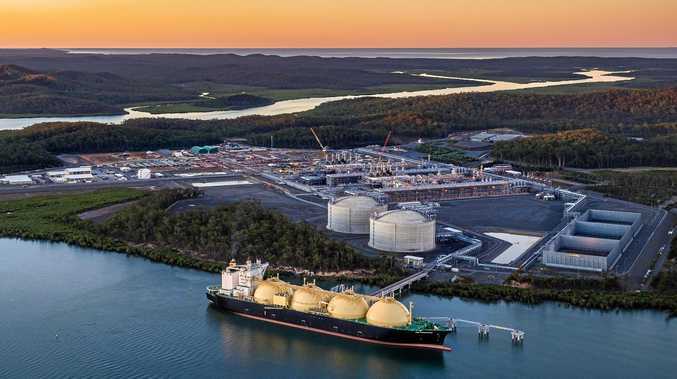 Since the announcement of the ADGSM, Santos' GLNG, Origin Energy's Australia Pacific LNG and Shell's QGC have contracted more gas to the domestic market. Mr Gallagher said the higher contribution to Australia's market was a "great outcome". "That said, as existing gas supply sources mature and decline, it's absolutely critical that access to new gas supply sources is opened up within the next few years, not only here in Queensland but also in New South Wales and the Northern Territory," he said. The Australia Competition and Consumer Commission is monitoring the LNG companies' compliance with their agreement to supply more gas to the domestic market.